Ever wondered what to do with all the plastic waste that you get in your office? Always wished you could recycle 3D models? Awesome new invention allows all this to happen in your office. The advent of 3D printing for architectural firms opens up many possibilities for testing details, connections and concept designs. 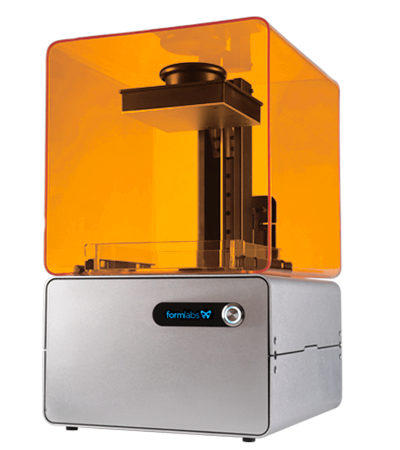 You can now get desktop printers such as this one from Formlabs that means you can 3D print at your desk! But what about the environmental impact of all the plastic used to produce the 3D models? What do you do with the 3D prints that don’t quite work the first time, or models you no longer need? Well a clever guy in the US has come up with a solution. 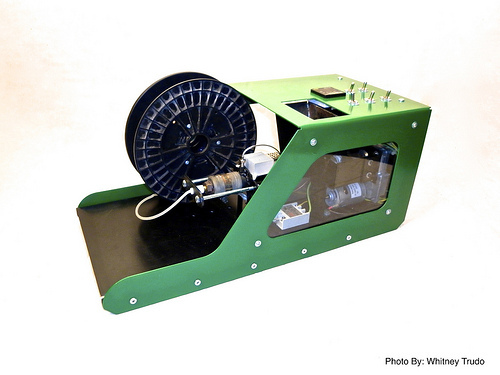 Filabot produces the filament (think of filament as the ink the 3D printer needs). Filabot takes all types of plastic, old models, PET bottles (mainly soft drinks), HDPE bottles (milk bottles) and ABS (kids toys, lego, luggage) melts them down and then extrudes them into filament. Put both of these together and you have the ability to repurpose waste plastic into 3D models. Innovation means cutting out the unnecessary and this cuts out unnecessary waste from 3D printing. Imagine the possibilities of being able to quickly, cheaply and responsibly produce 3D models for the built environment! Wow that’s pretty amazing and a great way to transform waste into objects of desire! And turn the object of desire back into something else when it becomes undesirable! Right on the money. Excellent thoughts. I wrote on the same thing recently. I’ll see if I can post it if IT didn’t.